After two days of closed-door discussions in London, high-level representatives from 46 countries pledged to take "decisive and urgent action" to end wildlife trafficking. The declaration includes action to end the market from illegal wildlife products, strengthen law enforcement efforts and promote alternative, sustainable livelihoods in communities. "Governments signing the London Declaration today sent a strong message: Wildlife crime is a serious crime and it must be stopped. This trafficking devastates species populations, but also takes the lives of rangers, impedes countries' economic development and destabilizes society by driving corruption." The illegal wildlife trade, which is worth about $19 billion, has been the focus of international policy lately -- first, with the announcement of a pledge from the Obama Administration to ban the ivory trade in the U.S., and next with the UK conference wrapping up in London, which was attended by Prince Charles and Prince William. Among the countries that signed were the Democratic Republic of Congo, Gabon, Kenya and Tanzania -- four nations that are at the center of the poaching epidemic. Other countries who signed like Togo, the Philippines and Malaysia and China are major hubs and (in the case of China) sources of demand for illegal ivory. And the illegal trade in rhino horn was not forgotten -- South Africa and Mozambique, where many rhinos live, signed -- along with Vietnam, a major source of demand. 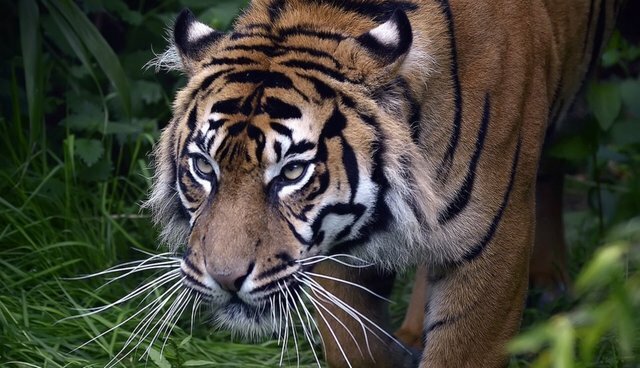 Lastly, countries that see a problem with the illegal trade in tiger parts signed too: Indonesia, Myanmar, Russia and China. "The illegal wildlife trade is a global problem and it matters deeply to all of us gathered here today," said UK Foreign Secretary William Hague on Thursday. "We need to show the world our political commitment at the highest level across the globe to addressing this before it is too late."